Three terrifying letters, one gut-wrenching acronym, the manifestation of high school’s academic accomplishment, the test to end all tests. SAT—emblazoned on thick blue tomes of test prep, inscribed on the every brain cell of every high school junior and senior. The test that, in one of my favorite movies, determines the fate of young Chris Evans and Scarlett Johansson, who stage an elaborate breaking-and-entering to steal the answers from Princeton Review. In 2014 alone, over 1.5 million graduating seniors took the Scholastic Aptitude Test, or SAT. Standardized testing is an important facet of college applications. It confirms or refutes the impressions of students that more subjective measures of academic performance offer. Teachers can bump your grades or write glowing recommendation letters, but at the end of the day, colleges need an objective means of comparing student against student. But it becomes a problem when testing—the mechanism intended to level the playing field—adds more inequality than it counteracts. Paradoxically and exasperatingly, however, most colleges pay little to no attention to “the most highly predictive” section of the test. As of 2007, Georgetown University, Smith College, and MIT were among the schools that completely disregarded the writing score, while Wellesley College, Tufts University, and Harvard “took varying approaches, with none placing high importance on the score.” It’s clear that of the three sections, writing is placed on the back burner. I hypothesize that this is because wealthier students have access to expensive test prep books and tutoring programs. My high school, an independent college prep school, ran a six-week program that broke down each component of both the SAT and ACT in specialized classes. My classmates and I had access to TCA Prep, our school’s provided online test prep program. I also was able to take test prep classes at Sylvan Learning. However, I’m one of the lucky ones. Many of the students taking standardized tests aren’t financially able to access these materials. And if students have to take time after school to work, they may have even less time to study for these tests. The SAT is meant to be a means of standardizing—of putting all college applicants on the same level. Naturally, it would be impossible for the test to be completely fair: although unlikely, certain students may have studied the reading material in class, and thus have a slight advantage. That’s always possible. But if the data shows that wealthier test-takers are scoring higher, the test isn’t doing its job. The argument against this contention is that the statistics show correlation, not causation. Just because high income and high test scores tend to go together doesn’t mean that one caused the other. In The Wall Street Journal, Charles Murray argues that wealthy students don’t succeed because they’re wealthy—they succeed because their parents are hard-working and resilient, which are often the traits of employed (wealthy) people. But Murray’s rebuttal doesn’t quite have me convinced. His conjecture seems just as based on correlation-not-causation as the counterargument. Plus, there are plenty of families on welfare whose financial hardships don’t stem from a lack of effort or hard work, but instead come from poor job availability, disability, or even misfortune alone. We all know the state of the economy; it’s not always a lack of “grit” that determines someone’s bank statements. The SAT is a one-shot test. Your GPA is a cumulative measure of academic achievement over a full semester. One guess as to which is more accurate. Some argue that a more accurate measure of academic ability is the AP, or Advanced Placement, exams. Students can sign up for AP classes or study independently for a school year, then take the AP exam in May. Rigorous anti-cheating procedures make taking AP exams a ritualistic experience—rip the shrink-wrapped packets, break the seal on three sides with white labels, and by all means, do not allow your cell phone to ring during the exam, or the two burly men who patted you down upon entering the exam site will make sure no one hears from you again. The real kicker is the bizarre level of secrecy surrounding the questions. Test-takers are forbidden to share details about the test with fellow students or teachers. Teachers are charged with the responsibility of preparing students all year for a test they have never seen. For the most part, I have been extremely lucky to have had competent, experienced teachers who are familiar with the topics covered and structure of the test. I can’t help but wonder, however, about students across the country who might not be so lucky. In practice, AP exams are often indications of teacher, rather than student, ability. However, if teachers are incapable of teaching, students aren’t totally out of luck. Welcome to the borderline monopolistic world of Test Prep, a kingdom ruled by King Princeton Review, flanked by his loyal court of nobles: There’s the Duke of Kaplan, Baron von Barron, High Chancellor of CliffNotes. If paying test entry fees wasn’t enough for you, there’s still the opportunity to shell out hundreds of dollars for test prep books upon test prep books. Looking at my recent Amazon orders (CliffNotes Biology, Princeton Review European History, 5 Steps to a 5 AP Macroeconomics), I think I could singlehandedly keep the test prep industry alive. While the Advanced Placement exams might be a better indication of academic ability and college readiness, they’re still a traditional means of measuring intelligence—sitting down with a number two pencil, a multiple-choice packet, and a bored-looking proctor sitting in the front of the room. And the grading system, a scoring on a scale of one to five, is less forgiving than the 800 scale of the SAT. Yet again, students are left frustrated with testing systems that just don’t measure up. It might be easy to play off student concerns as mere petty complaints, but there are real and legitimate concerns to be said for a testing system that punishes students who are low-income or whose skills don’t comport with the rigid criteria enforced upon generations of teenagers. Bad test scores mean less-than-favorable college applications, which mean reduced chances of attending a prestigious university. For incoming test-takers, the future looks brighter. 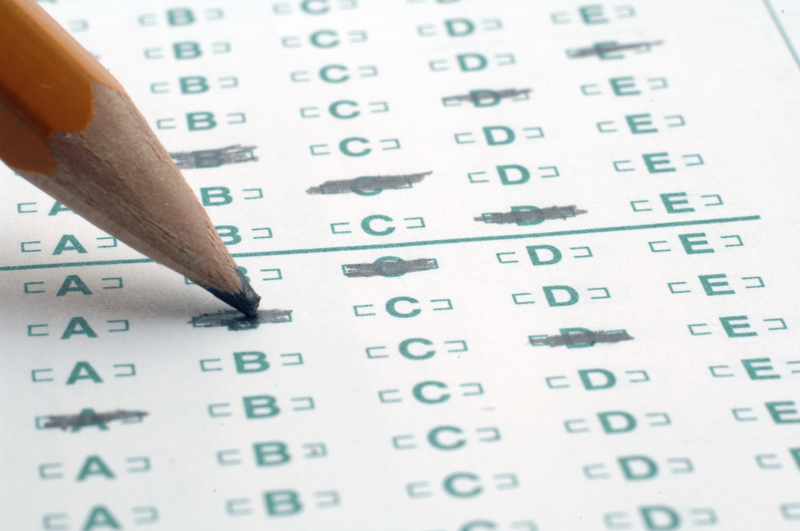 Early in 2014, the College Board announced its plan to revamp the SAT. Beginning in spring 2016, the essay will be optional, the vocabulary will be less obscure, and the wrong-answer penalty will be no more. Additionally, in efforts to level out the income effect, the College Board has partnered with Khan Academy to offer test prep free of charge. Students who qualify will also receive fee waivers to apply to four colleges. Although the changes won’t apply to me or my graduating class, I hope that the revamped SAT will make the college admissions process more fair for future generations’ applicants. Coleman is right: It’s been a long, suffocating road, marked by injustice, inequality, and the eraser shavings of #2 pencils. It’s time for a breath of fresh air. Previous Old Is the New New: The Surprising Rise of Bernie Sanders and Jeremy Corbyn by Sam C.